It’s quite the special thing to be so deeply touched by the passing of someone I did not personally know. What a wonderful gift David Bowie gave to the world. He was in the tapestry of our lives; touching the feelings and emotions of so many of us by expressing through his music and lyrics what is shared by us all. This is what makes artists so important, because they take what is common to all of us and express the experiences of what all humanity shares, but paradoxically expressed through the magic of the vibration of one unique soul in one lifetime. I’ve often thought about what makes people stand out like this… And I continue to see a pattern. When people fully give into themselves and take the courageous journey into the depths of who they are, they come in contact with their own reservoir of energy, completely unique to them. It’s an energy that is unusable by others, for every other person has their own reservoir of energy to connect to, if they would only follow the journey to connect with it. For some people this journey is thrust upon them from birth and for others it is a journey that has to be ardently made, but the ultimate lesson is same for both. You are a vibration, a music, that is unique in all the Universe. There is no one else like you. It is your job to go deeper and deeper into the core of your own source. The more you let go of all the safety nets; emotional, financial, cultural, etc. the closer you will get to the strength and support of your own truest vibration. There is something for you to express, there is energy that must come through you. It is an energy that no one else can bring forth into this world. Wether it is that you bring this work through your art, music, healing, bookkeeping, bus driving… buy zithromax online with mastercard whatever it is you are to be a vehicle of energy of. There is no one but you to do it exactly the way you can do it. And, when you reach every deeper into this energy to heal and deepen yourself, you will inadvertently touch the world. When I think of this lesson of bringing forth our unique soul energy into the world and the mark David Bowie has left on so many lives, I think of this GOBOBOSEB SMOKY AMETHYST MUSIC SCEPTER. The first time I meditated with this crystal, a whole song came through me. It was a beautiful song that was connected to me from another life and I was so happy to hear it again, that I found tears in my eyes. I realized that this crystal helped me connect to an energetic information stream that can only be accessed through me. The crystal acted as a musical frequency clarifier for my soul. 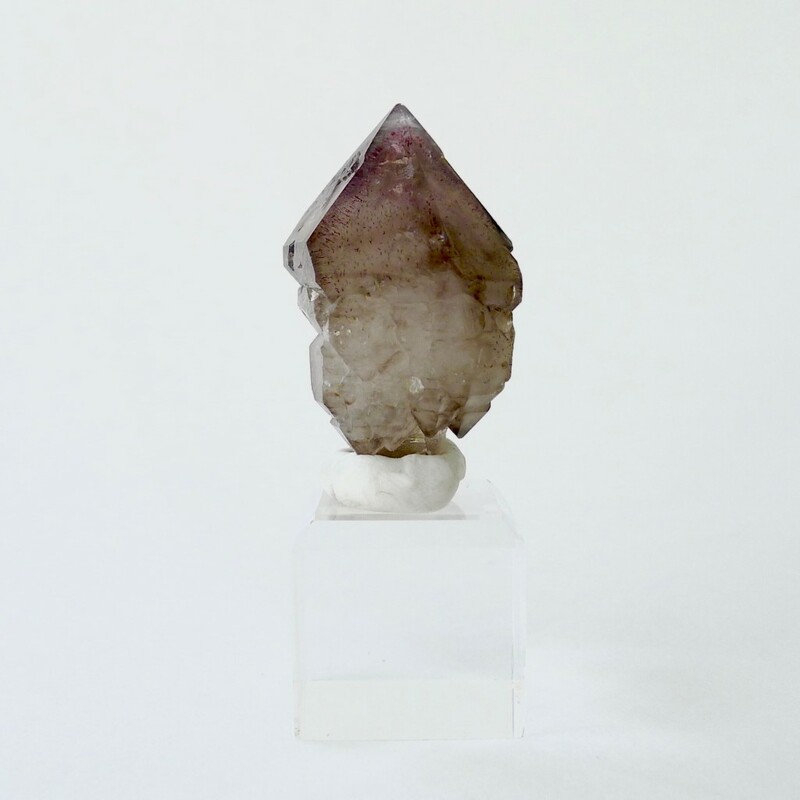 These crystals have a combination of faint amethyst phantoms along with natural irradiations causing smoky coloring. Many specimens also have flecks of hematite within the crystals. On top of the this is a mixture of cathedral and elestial patterning habits on the exterior of the scepter shape. The combination of all these factors creates for a vibrational gateway that is unique and for some reason comes out musically for me. I recommend this stone for anyone who is willing to go on the Hero’s Journey into themselves. Whoever is willing to connect with the depth and intensity of their own vibration, and is willing to do the work facing any vibrational kinks that surfaces because of this journey into their own pure energy would be the ideal candidate to work with this stone. Then if it is that you are pursuing artistic endeavors, or if you consider or want to live your life as art, then could be the stone for you.